Categories: Business, Concise Advice Series, Leadership, Management. All The secrets to unlocking your ability to create presence, impact and change at work. ● Contains 50 concise techniques and tips that, when taken together, form a code for any manager to create impact. ● Every ambitious manager understands the need to create impact – this book unlocks that ability. ● Accessible and easy-to-use, this small but powerful book is all you need to succeed. 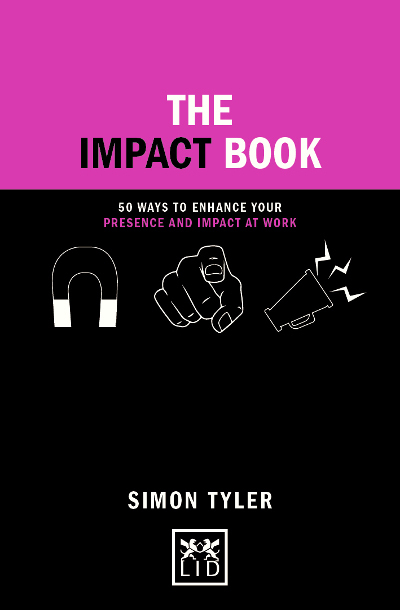 Simon Tyler is a much sought-after business coach and works with some of the world’s leading companies, including BP, Cisco, Morgan Stanley, O2, Volkswagen, DuPont, Castrol.